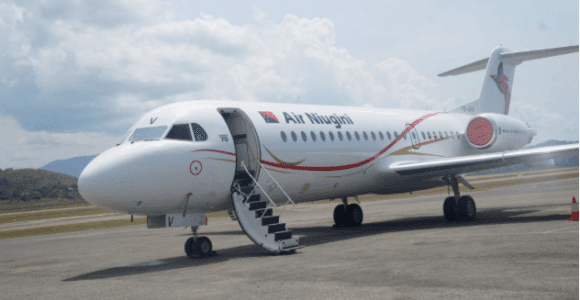 Papua New Guinea's National airline Air Niugini is set to commence bi-weekly flights to Townsville in the Australian state of Queensland from March 2017. The move strengthens Port Moresby’s Jacksons International Airport status as a regional aviation hub. Air Niugini will commence direct flights between Port Moresby and Townsville, the largest city in Northern Queensland in March 2017. ‘Townsville Airport sees this as the beginning of a much stronger relationship between our region and PNG,’ Townsville Airport chief operating officer Kevin Gill told the Townsville Bulletin. Townsville Airport services a catchment of 250,000 people, which is projected to triple by 2030. Townsville has an existing sister city relationship with Port Moresby. The announcement means Air Niugini will fly to four destinations in Australia in 2017: Townsville, Brisbane, Sydney and Cairns. In December 2016, the airline commerced regular flights to the Federated States of Micronesia and it has also flagged an intention to commence flights to Shanghai, China.